This property has it all, waiting for your memories to be made. 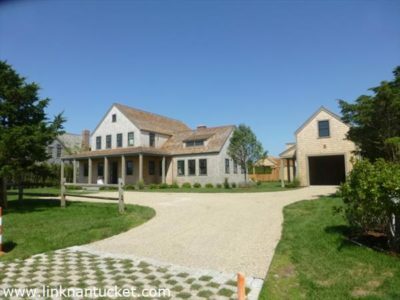 New construction in Sconset with 5 bedroom 5 full bath 2 half bath main house, three covered porches, expansive outdoor entertaining area, carriage house, fully equipped cabana, pool and gas fire pit. Open floor plan with coffered ceilings, wood burning fireplace, mudroom and master suite on the first floor. Ship lap walls, built-ins, wine cellar, finished basement with full sized bar, climate controlled wine cellar, over-sized one car garage with studio, french doors lead to pergola and pool area with custom cabana. Lower Level Full finished basement with wet bar, gas fireplace, cedar closet, powder room, climate controlled wine cellar, exterior walk out egress and bedroom with full bath and walk-in closet.